It’s Oscar season once again. That special time of year when Hollywood pats itself on the back for producing countless drab and forgettable dramas while offering breadcrumbs to far more interesting fare that doesn’t match up with whatever message they want to communicate. 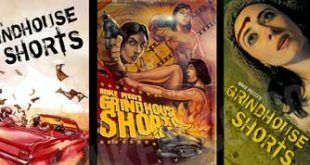 Unique cinema if often overlooked by the academy and no genre has suffered that treatment as much as horror. Sure there have been a few golden statues handed out over the decades to scary cinema but most heavyweights of this genre are completely ignored. That’s once again the case this year but that hardly means we don’t have anything to celebrate. 2018 may not have been the best year for our fandom but there were still multiple damn fine movies to celebrate. Instead of feeding the Oscar machine this weekend why don’t we take a look back at some of the good, a little of the bad, and even hand out a special award or two of our own. For any writer there’s the chance of missing some major releases before countdown season arrives and this problem is all the worse for us small time folks. While I’m proud to say I’ve seen the majority of big titles there’s always going to be something that slips through the cracks to be found months or years later. It’s simply the nature of life and I won’t sink to offering uninformed opinions on something I didn’t actually watch. Beyond that are the many movies that simply weren’t good or bad enough to merit mentioning. Though the U.K may not be quite the same home for great spooky stories that it was during the heyday of Hammer and Amicus they still manage to put out the occasional gem. In the case of Ghost Stories it is everything you want from a horror film and likely the best feature of 2018. Originating as a stage play, Ghost Stories offers an incredibly unique take on anthology films by managing to make each segment seemingly stand-alone while adding to the greater overall plot. Sometimes these stories are outright scary, other times they’re a bit funny, and they often find ways to do the unexpected. 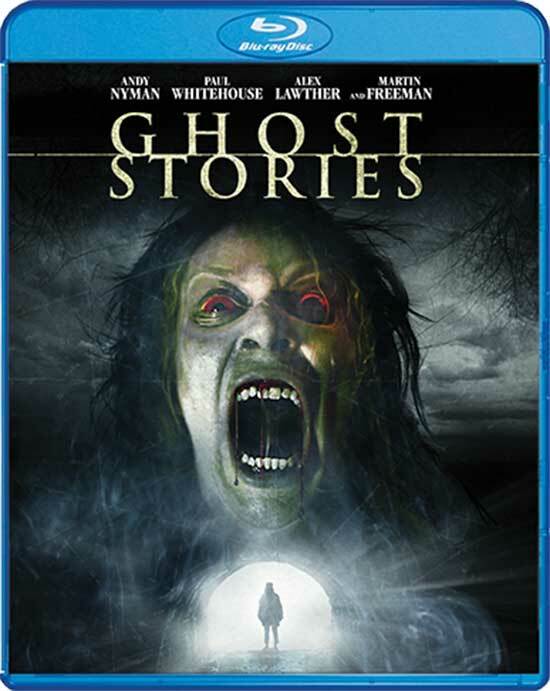 Ghost Stories is everything you want from a horror film be it chills, thrills, laughs, or a deepening mystery that’s with a second viewing to discovery greater details. This is a perfect example of why we love this genre that will surely go on to gain a larger fanbase in the years to come. 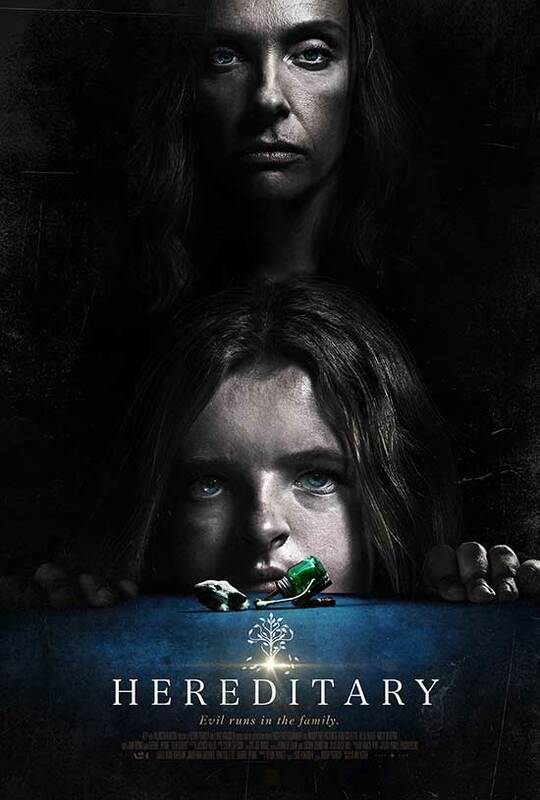 A stellar achievement for both cinema and horror genre, Hereditary (2018) has easily gone down in horror history as one of the best original horror productions of all time let alone, 2018. Those who have seen it, rave about it, those who haven’t always begin with “ya, that one’s on my to-do watch list, here soon”. In any case, this production went straight to theaters and shortly after to home viewing. Strangely enough, it seems to have caught more momentum in home viewing for many who just simply ignored or missed it. If you’d like to check out my prior review of Hereditary (2018, you can do so here. 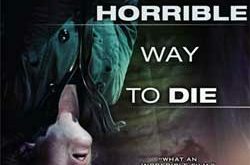 In any case, a dynamic cast and award winning performances in combination with downright disturbing circumstances and scenes through out makes this a top contender on this list (if not #1). 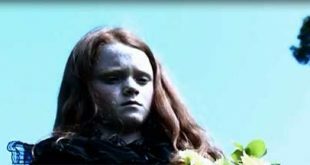 Hereditary (2018) was odd indeed in that it’s simple drama approach is quickly overtaken by dark forces and circumstances. Upon watch, I was so blown away that I contacted my friends to re-watch the next day. Some complain about it’s resolve, however in careful review it ties the whole piece (and pieces) together. Admittedly the newest Michael Myers outing has just enough issues that I was hesitant to include it on this list. 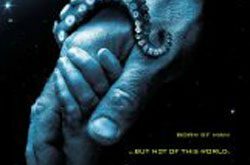 It’s not a particularly scary film nor does it do much to break from formula with classic bits of poor decision making and plenty of underdeveloped characters. That being said those flaws couldn’t derail the glorious return to form for this legendary series. In recent years most of the major horror franchises have lacked the sort of iconic villains that defined the output of the 80s. Having the opportunity to see one of these old masked fiends come back and put on a fine show was an absolute gift to the horror community at large. 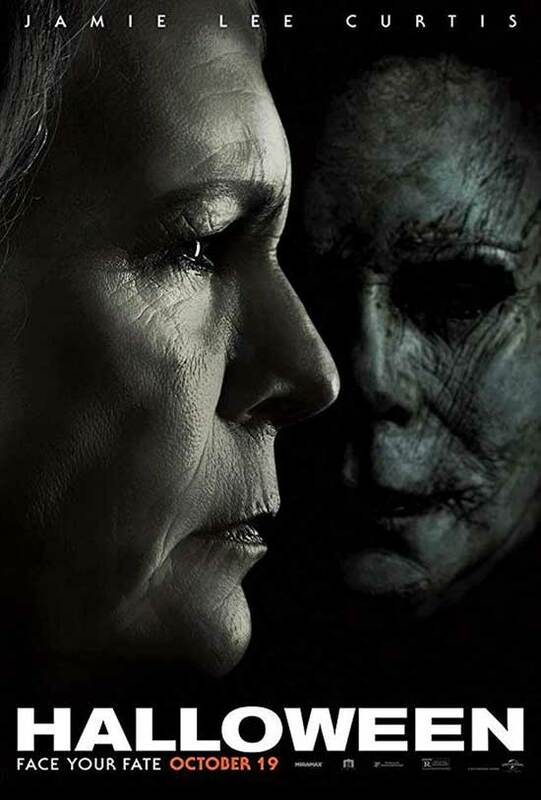 That said the film wouldn’t have packed as much of a punch if not for Jamie Lee Curtis giving her all in performance that further cements her status as the greatest screen queen. While Halloween makes a few missteps and sadly resets the franchises continuity for the umpteenth time it managed to do something very rare. For a brief shining moment nearly every horror fan was united in our pleasure at seeing an icon return to form. Hopefully this is a new beginning for this series and more. 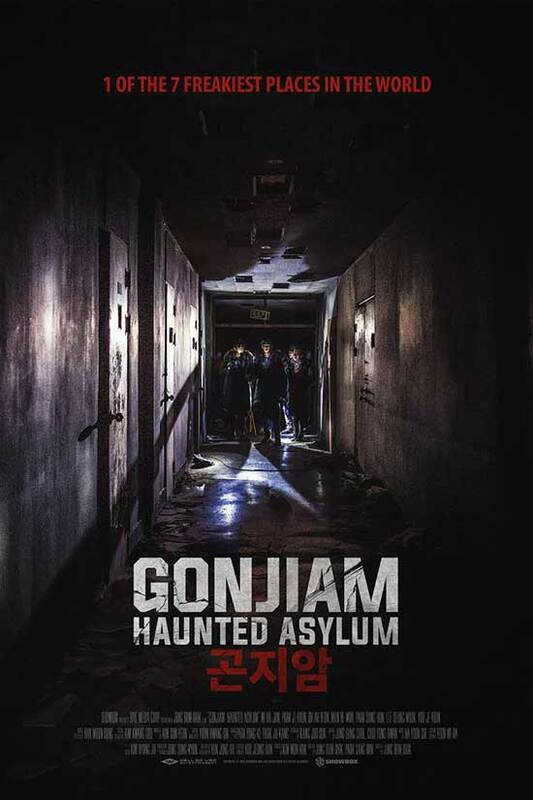 Hailing from South Korea, Gonjiam: Haunted Asylum isn’t going to win any awards for originality. In fact if you’ve ever seen a found-footage flick chances are you can already guess the overall story. What matters here isn’t originality but execution. Where other movies offered a sense of dread or feeling of community this one offers straight-up spooky fun. The set-up should be familiar to anyone whose seen flicks like Grave Encounters. A group of online ghost hunters sets out with some guest hosts to film a live show inside a haunted asylum and as expected things go poorly. The story takes it’s time to get going as it gives us some of the usual young people having fun routine before reaching the location. After that we work our way towards two major turns in the story, one involving the characters, the other amping up the tension in a major way. The final act is what cements the movie as something memorable with some outrageous scares that are perfect for viewing with easily spooked friends and family. Gonjiam may not bring anything new to the genre but it made for one of the most memorable viewing experiences of last year. 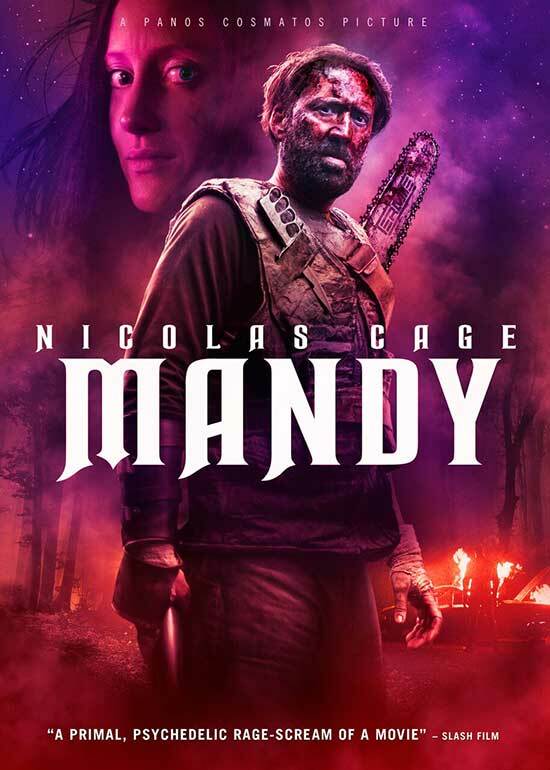 I must admit I was more than a little suspicious of the heaping praise for Mandy. Even after viewing it I feel a good many reviewers have inaccurately hyped the movie as it at times comes perilously close to being bad. What saves it is a combination of solid production, amazing music, and having the right amount of self-awareness to be fun without ever turning into a joke. From scene one this is a hell of an experience mixing elements of Manson family style cult thrillers, biker gangs straight out of the Hellraiser franchise, and Conan the Barbarian level action. The movie manages to shift gears multiple times yet always feel comfortably familiar. Possibly the best element of Mandy is that in an era when so many films try to emulate the vibe of 80s horror this one comes so very close to feeling like a flick from that golden era. A first time viewing is is comparable to finding a crazy lost gem on one of those public domain fifty movie packs. While there isn’t necessarily enough deep storytelling to warrant its length, Mandy is fine bloody fare for horror fans who like their stuff outlandish. 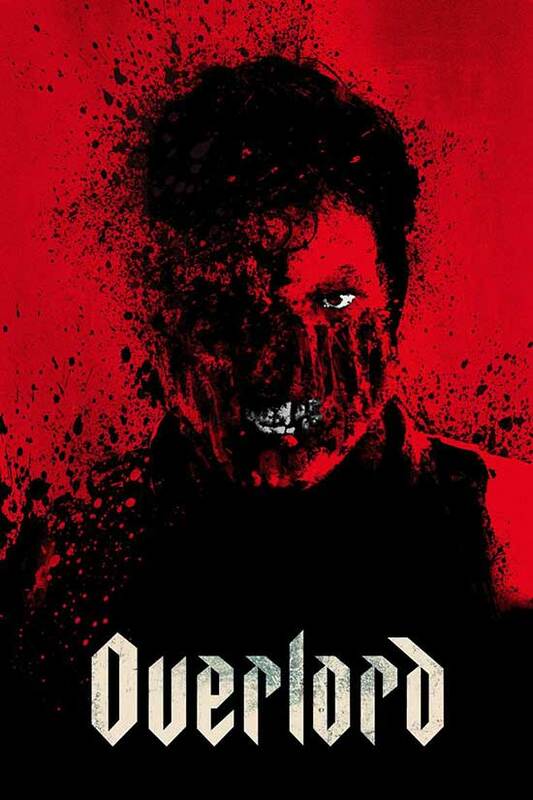 In the past a movie like Overlord would likely earn an honorable mention rather than a spot among the best of. That’s not because of some failing within the film, it’s incredibly solid entertainment. Fact is movies like this used to be a lot more common whereas now they are a rare treat. The film never pretends to be anything more than it is. 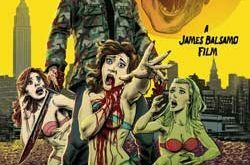 There’s no twist ending or major social commentary, just a good war thriller with enough freaky monsters and mad science to keep things interesting. The general reaction to Overlord has been a bit muted so far with some viewers paying more attention to what it isn’t rather than enjoy what it is. While rumors and hype had this posed as anything from a fourth Cloverfiled film to a balls out Nazi zombie fest the truth was something else entirely. What we have here is akin to what would have happened had Hammer films produced the original Predator. It’s an action movie first and an atmospheric monster movie second. One very interesting element of the film is how it uses race. The filmmakers completely disregard historical accuracy by mixing African-American and white soldiers together in the same unit. At the same time the story never preaches or dives into deep racial issues. It finds a balanced method to being inclusive by portraying everyone on equal footing. Not bad for a simple action flick. 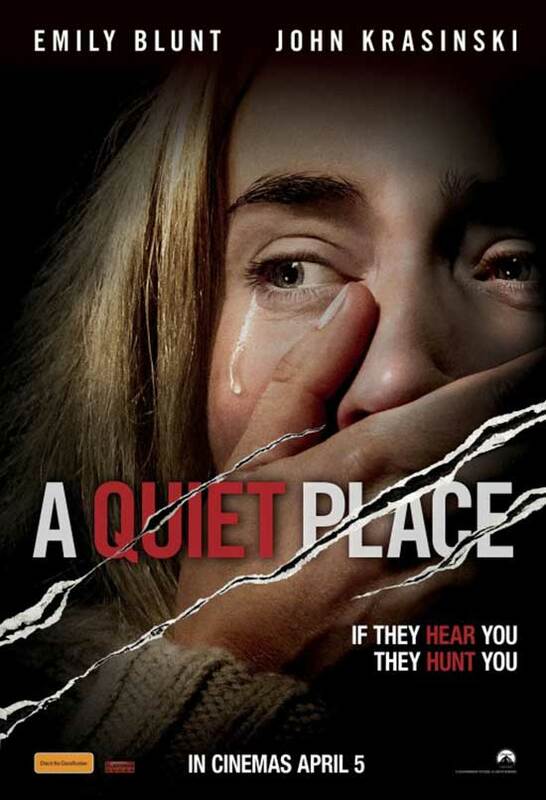 It almost feels criminal how quickly A Quiet Place earned itself the title of a new horror classic but it truly is one awesome little experience. The picture it paints of a world where noise equals death would be interesting enough on its own but the family dynamic makes everything far more interesting. John Krasinski and Emily Blunt bring the sort of warmth to the screen that other married filmmakers wish they could. Their relationship is believable as is the stress they feel trying to safeguard their family in such dark situations. Whether you relate to the parents or children there’s at least one point-of-view for viewers to latch onto. More important is that the story gives us just enough details to tickle our imagination without over-explaining everything. We don’t know where the creatures come from but we know how they behave and eventually more. We see a world on the brink yet one that is still holding on. That’s the sort of careful balance between terrifying and hopeful that builds so many of the best scary stories. Exactly ten years after the original The Strangers nearly bored me to death, I sat down to view the sequel with relatively low expectations. After all this has received a fairly substantial amount of hate and follows a film I didn’t think that highly of in the first place. Imagine my surprise then that months later while writing this list I can’t shake the memory of what a neat and mean little film this turned out to be. Whereas the first film is just too small, cold, and populated by miserable people this follow-up manages to take those elements and spice each of them up. The characters are still largely sadsacks but you begin to see them grow throughout the story and feel their genuine emotion at having what little peach they have ripped away from them. The sitting is still small and drab but just a little more open with touches of color and character to bring it together. Best of all is how this plays out like an actual conflict with both sides losing people as the war escalates. Pray at Night is no classic but it seems like a film destined to earn a better reputation in the coming years. Right now it’s just a late sequel few people care about but I guarantee that in a few years after more people catch it via streaming services or pick up a blu-ray on a whim that narrative is going to change and we’ll be seeing this one pop up on underrated lists. 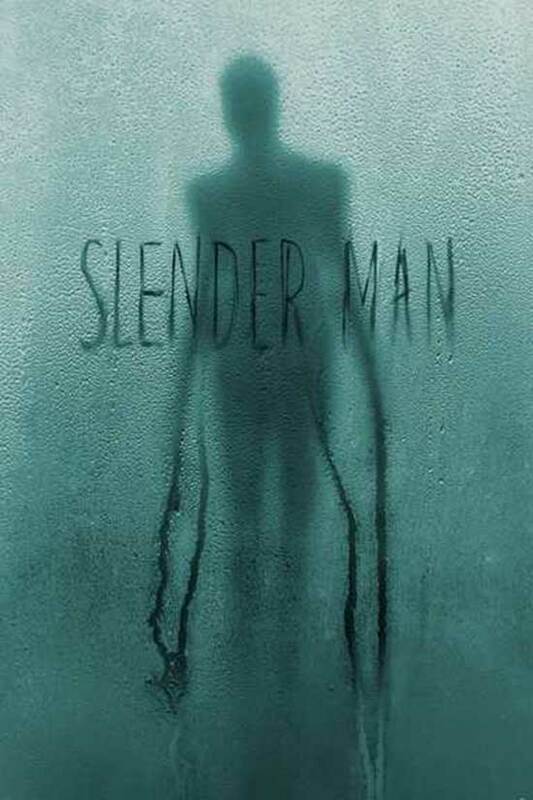 When this decade is over and done with, Slender Man will serve as a towering example of lazy studio filmmaking. It’s difficult to even start talking about this film as there is nothing of value save that it features the most unintentionally hilarious scare I’ve seen in years. The photography and lighting are atrocious with an overbearing gray tint even in broad daylight. Acting is laughable as the core cast of teenage girls tries everything they can to salvage flat unlikable characters and terrible dialogue. The story is somehow both too simplistic yet often manages to make zero sense. And then there’s the monster himself, who fails to be scary in the pathetic amount of time he’s onscreen. Possibly the worst crime is how the filmmakers dare to court controversy by tackling this subject after the real life tragedy associated with it without actually having the stones to do anything with that angle of the phenomenon. There are reports of major studio retooling but I strongly doubt the original cut was anything worth while. 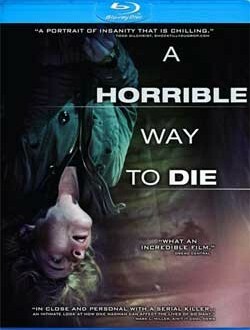 Let us never forgot just how terrible this movie really is. And that dear readers was one last look back at 2018. What were some of your big surprises and disappointments from the year that was? What are you looking forward to in 2019? Do you think I’m totally off the mark regarding Hereditary? Sound off in the comments below.